Business Insurers of the Carolinas has been a proud provider of Insurance and Bonding coverage specifically designed for Pet Sitters, Dog Walkers and other Pet Care Providers since 1992. By working directly with the largest Pet Sitter Associations and their members for almost 25 years, we have gained a unique understanding of the types of claims that occur in the industry and what is needed to be properly covered. Each year we continue to refine and enhance our association liability programs based the feedback we receive from Professional Pet Sitters, Dog Walkers, Pet Taxi Providers and Pooper Scoopers. We also continue to offer the broadest liability coverage in the industry for the pets and property in your care-whether in your client's home, in transit, or at your home. We cover all pets from Aardvarks to Zebras (but mostly cats and dogs) and every pet in between (hamsters, fish, chickens, pigs, snakes, reptiles, horses, turtles, mice, etc, etc). So long as they are truly a pet and in your care, they are covered under our association plan! As a Trusted Choice Independent Insurance Agency, Business Insurers works with many other insurance companies that provide coverage to Pet Sitters, Dog Walkers, Pet Taxi's and Pooper Scoopers. We offer a full array of coverage options including: Workers Compensation to protect you and your team from injuries you incur arising out of your work, Commercial Auto including Non-Owned Auto Liability to cover your Pet Taxi or simply driving to and from your client's homes with your logo listed on your car, and Employment Practices Liability including 3rd Party coverage to protect you against claims of discrimination or harassment. We understand that no two Pet Sitting Businesses are alike, and our aim is to educate each Pet Care Business on all of the various coverage options available and assist in obtaining the proper coverage for your Pet Sitting, Dog Walking, Pet Taxi or Pooper Scooper Business, before the claim occurs! Many things have changed since we first introduced the association liability policy for Pet Sitters and Dog Walkers back in 1992. At that time there were no insurers willing to offer a comprehensive policy to properly cover the liability exposure of Pet Sitters and Dog Walkers at an affordable premium. Over the years we have witnessed many insurers offer policies at rates that were not sustainable and they ultimately failed due to losses on their programs and/or a failure to fully comprehend the exposures they were writing. Today the internet offers many new low cost insurance providers touting coverage that may not be applicable or may contain important exclusions and limitations that could be detrimental to your business. In addition, the internet is full of websites with blogs, opinions and insurance comparisons created by people who are not licensed in insurance or knowledgeable about how to read insurance coverage forms. Before you make a decision on which insurer or policy to go with, we hope that you will give us the opportunity to explain all the various exposures and allow you to make decisions based on your tolerance to risk. 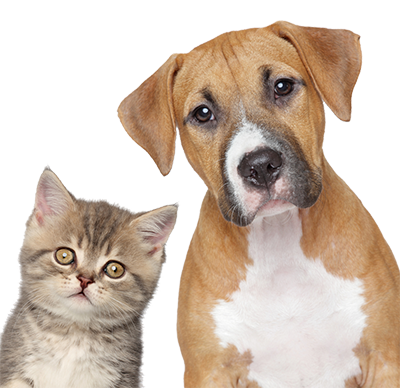 Our licensed Pet Services team is here to assist you and go over all of the applicable coverage options to be certain you are adequately covered, regardless of which insurance company or agency you choose. We look forward to being of service, and can be reached directly at 1-800-962-4611.